Because David used to work for an Egyptian company, we have been fortunate to stay in many of Cairo’s finest hotels. 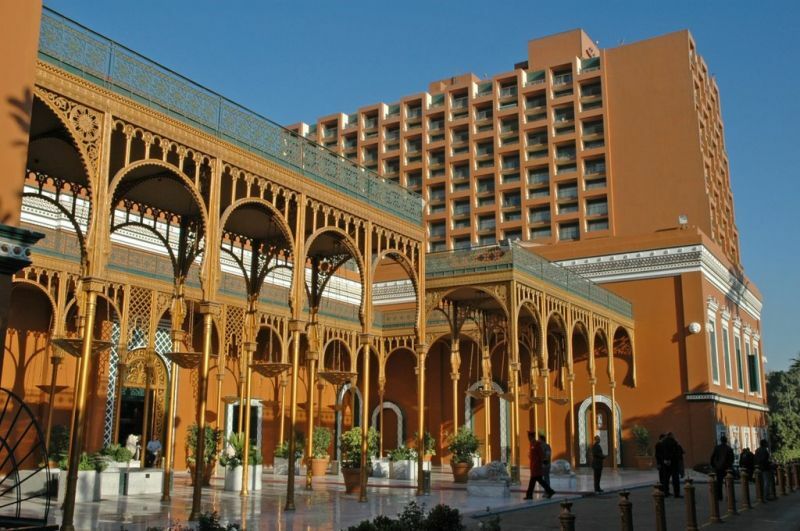 The Cairo Marriott has always been among my favorites. I chose to return to it with my Mom because of its charm, history, and location along with all of its many amenities (like elevators and air conditioning). 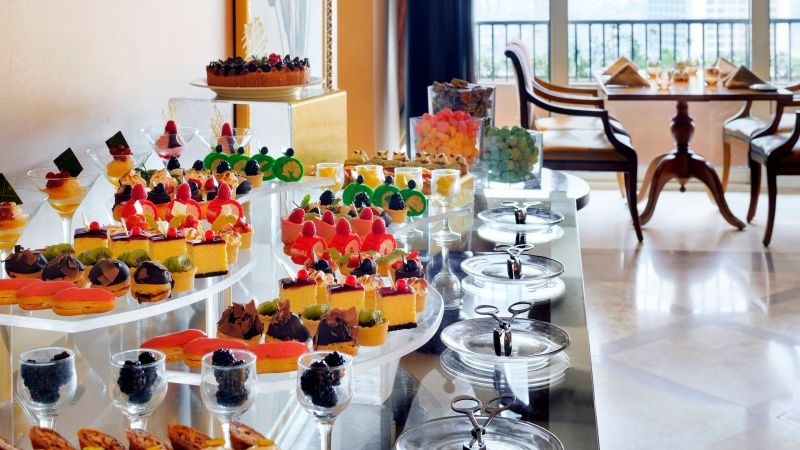 I also selected it because being in such a foreign country with my young at heart mother, I knew that I could rely on the staff of the Marriott to deal with any of our needs or issues that could arise. 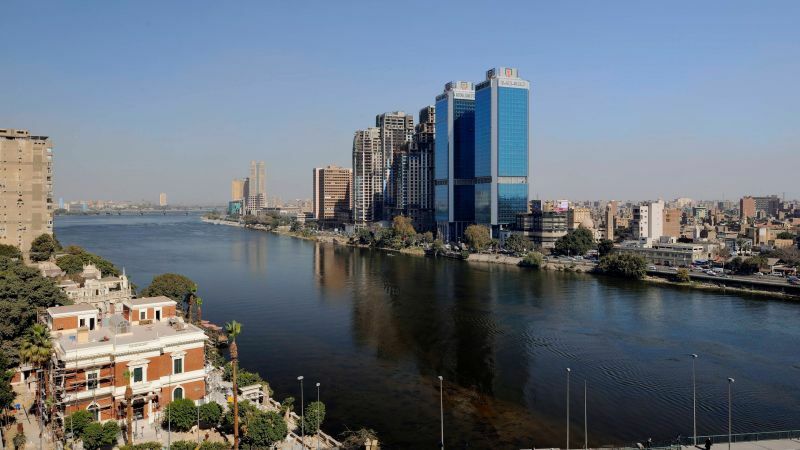 The hotel is located in the small district of Zamalek which is right next to the Nile River. 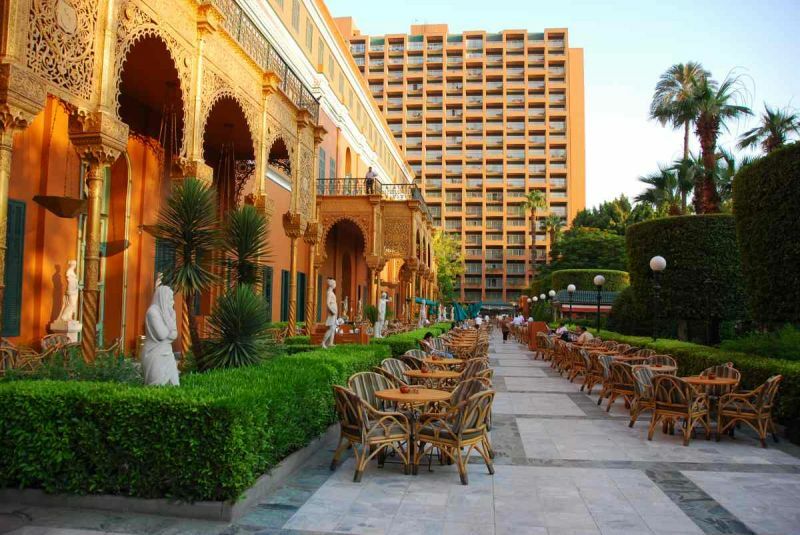 Its one of the few areas where you will see green spaces inside the city of Cairo. Pulling up to the hotel is quite the sight. Amazing arches and detailed painted woodwork greet you as you enter. 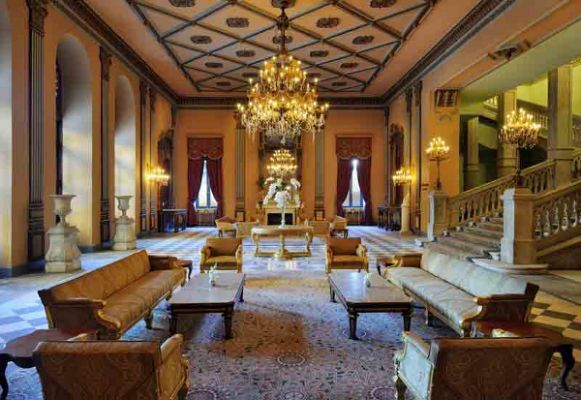 The center of the Cairo Marriott is a formal Royal Palace built in 1869 to celebrate the opening of the Suez Canal. Over the years it has housed many foreign dignitaries and famous events. 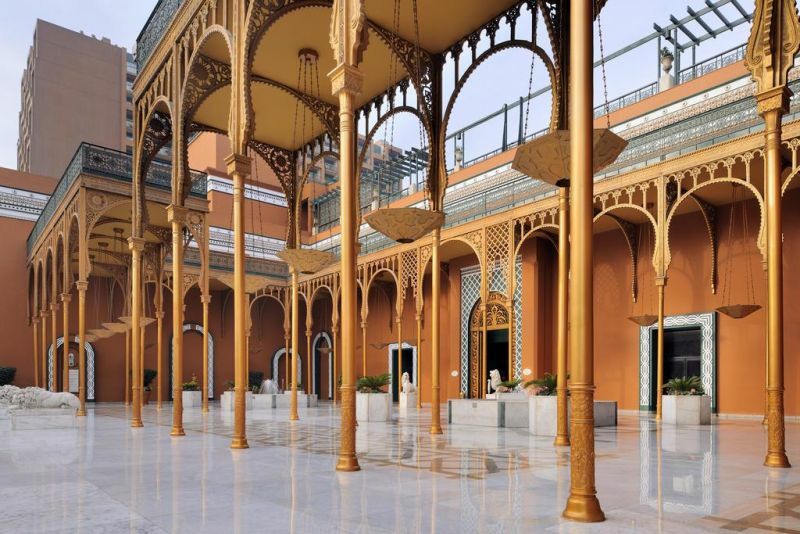 Although it was used by the Royals for many years, it was sold in 1969 to help pay off debts and it was purchased by an Egyptian hotel group. The Marriott Group of hotels took it over and renamed it in the 1970’s. They restored the original Palace and added two towers which flank the main palace building on either side. 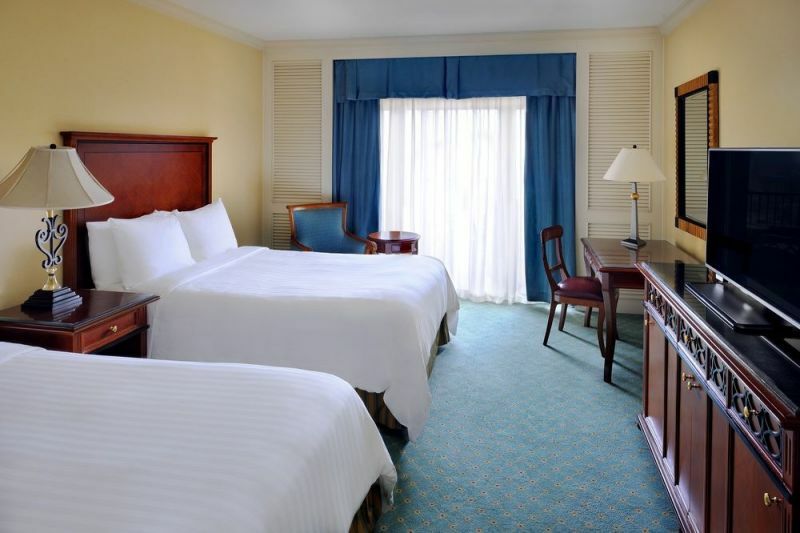 The two towers hold the rooms which are modern and spacious and come with all you would expect from the Marriott. During our stay, we were upgraded to the Executive floor as I am a member of the Marriott Rewards Club. That is well worth doing for all of the extras and perks. On the first level of the hotel along with reception is a whole host of shops. There are two banks, clothing, jewelry, souvenir shops, a convenience store, a bookshop, a hairdresser, even a travel agency. 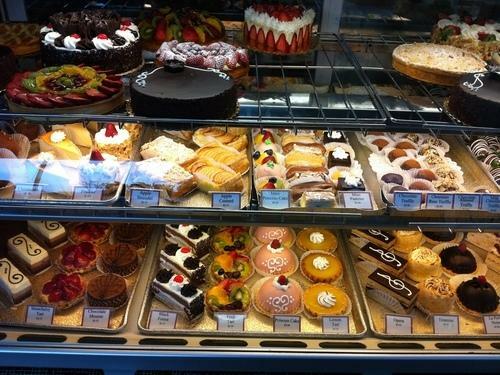 One of our favorite things was the French style bakery which serves amazing treats, sandwiches, and coffee. Not only have I had paninis from there (I’d recommend the Brie, Green Apple, and Turkey panini), but I have purchased several of their cakes, cookies, and traditional Egyptian sweets as gifts for friends in Cairo. All were really good quality and the prices were reasonable. Also on the first floor is the outdoor swimming pool area (which was closed during our visit for maintenance), gardens and little cafes where you can enjoy a stroll and have a drink. I have many pleasant memories sitting out on the patio while enjoying breakfast or lunch. It’s that kind of place to relax and linger, enjoying the beautiful oasis-like surroundings and to get out of the hustle and bustle of the city all around you. 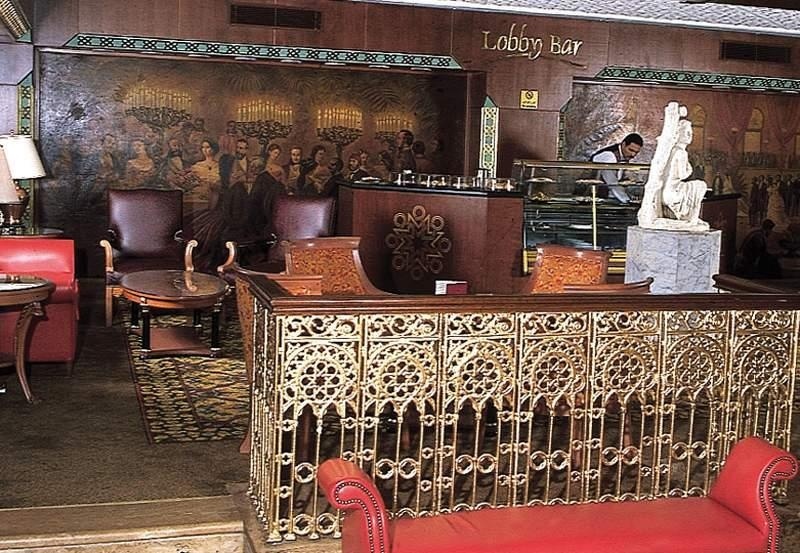 The Cairo Marriott has multiple bars, cafes, and restaurants. Unfortunately, this time we didn’t have the opportunity to eat in any of them as my mother was exhausted at the end of our days touring all that Cairo has to offer. 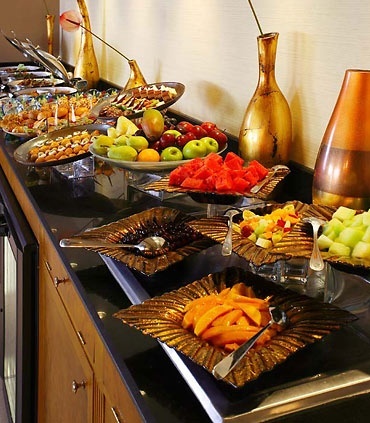 Instead, we ate upstairs in the Executive Level Lounge for breakfast and dinner. We were so blown away by the quality and choice of the food. 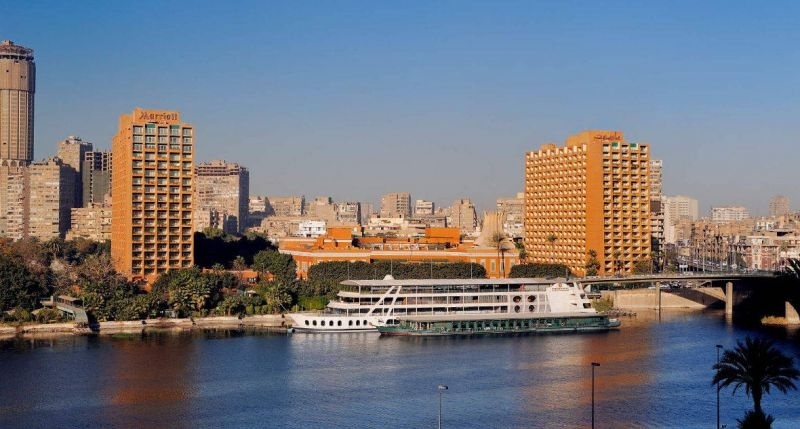 The views of the Nile river were amazing as we dined in comfort with outstanding service. I was even able to order a glass of wine with my meal. I enjoyed the glass of Egyptian Red wine from the Kouroum Vineyard, a mix of Cabernet and Merlot. 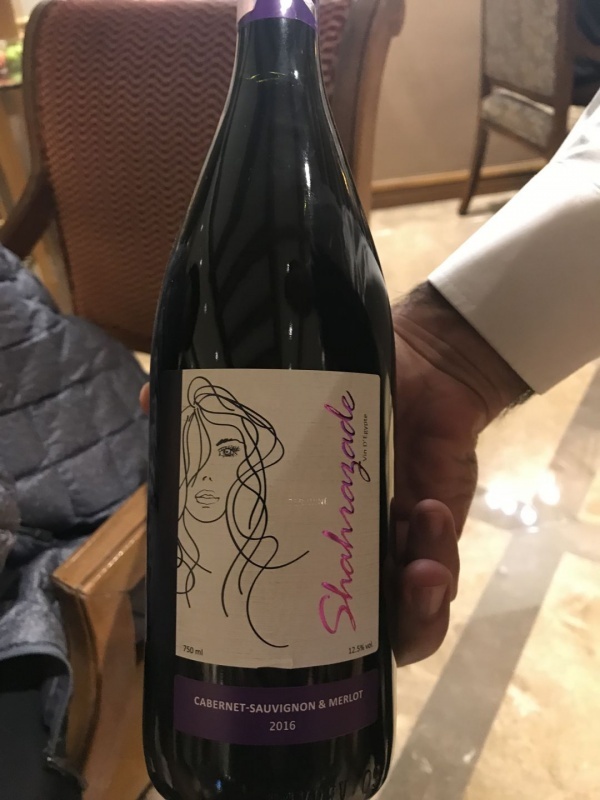 It was a supple and smooth sip which consisted of rich fruit flavors (mostly summer fruits) and well-integrated tannins. We were also treated to some wonderful fruit juices from the bar. Mom and I were absolutely WOWed by the mango juice although the strawberry was delicious too. 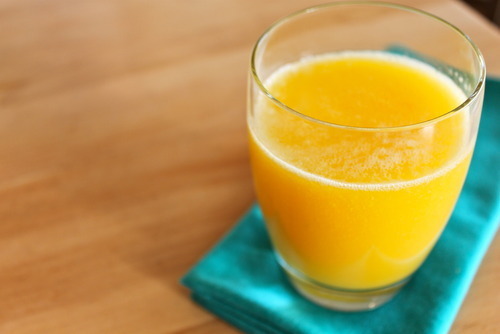 She drank the mango juice at every opportunity. This says something as she doesn’t normally allow herself fruit juice due to the calories and sugar content, but this stuff was so good it was like a dessert in a glass. 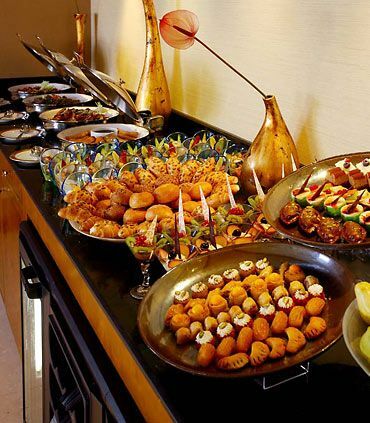 Our breakfast each day included a buffet of the usual fare of eggs, cereal, meats, and cheeses, but it also had traditional Egyptian foods like beans, fresh pita bread, rolls, and mezzas (Egyptian dips like tziki, Babaganoush, hummus, and tahini). I’ll tell you now I couldn’t get enough of the Babaganoush and ate it with both breakfast and dinner. Dinner each evening consisted of a choice of cooked meat, usually a chicken dish, a fish dish, and a meat dish, along with rice, potatoes, vegetables, salads, mezzas, and desserts. Each day was completely different and everything tasted amazing. I was disappointed not to try out the Japanese Style restaurant on the property. The food there looked amazing. We also didn’t choose to eat at the American Style diner as we were looking for a more authentic Egyptian experience. Our room was quiet and modern up on the twelfth floor. We were so impressed by all of the amenities that were included in our room. Every day there were stacks of water left for us; it gets really hot and dehydrating when touring so we were very grateful. Other thoughtful little touches, like chocolates, were left for us each day. In the bathroom, there were robes and slippers. 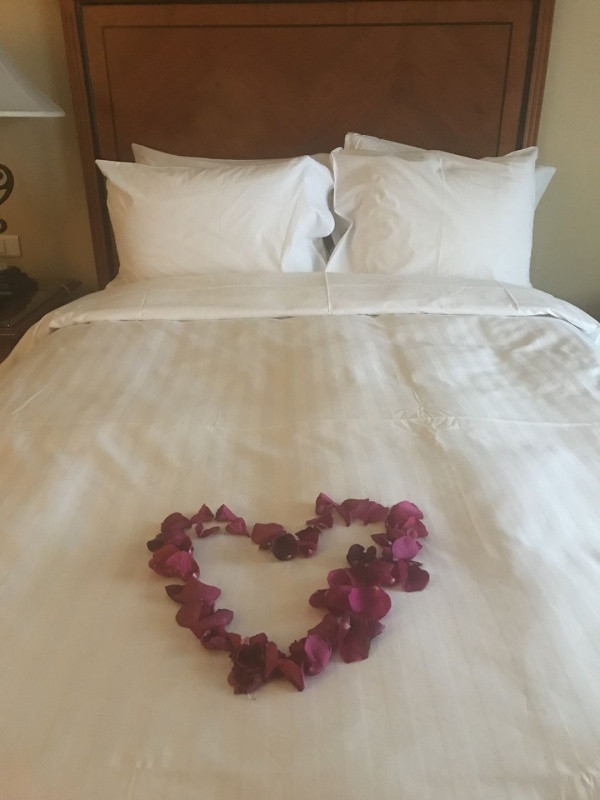 One day we came back to red rose petals laid out on our beds in the shape of hearts; very sweet indeed. Our room had a view away from the Nile, unfortunately, and over the city and some kind of sports fields. Still, it was pleasant and fairly quiet. The beds were very comfortable, and we felt refreshed to hit the tour each day. It was noticeable that all of the staff at the hotel all greeted us and offered us a welcome as we passed them in the hall or engaged with them in any way. Even if those were their only words of English, we were met with big smiles and warm welcomes. It made our stay that much nicer. We did sit in the lobby bar one night. 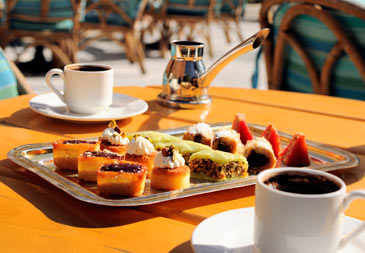 It was interesting to sit and people watch as we enjoyed our tea and traditional Egyptian sweet treats. Honey, almond, pistachio, and filo pastry treats were what we were served and they were all delicious. One night I asked for a decaf cappuccino and our server figured out how to make one for me despite it not being on their regular menu. It is that kind of awesome service that made me want to return. We did not go to the casino as we aren’t big gamblers, but I can imagine its fun for a bit of nightlife and excitement after a day of touring. I was with my mother, however, and she simply wasn’t up to much more than hitting the sheets at the end of the long days. 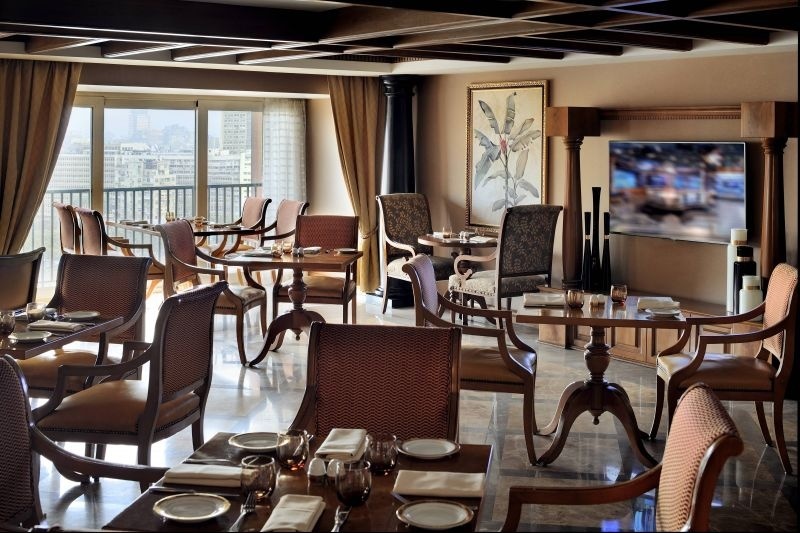 The Cairo Marriott Zamalek has it all: beauty, history, location, comfort, warm hospitality and good quality food. 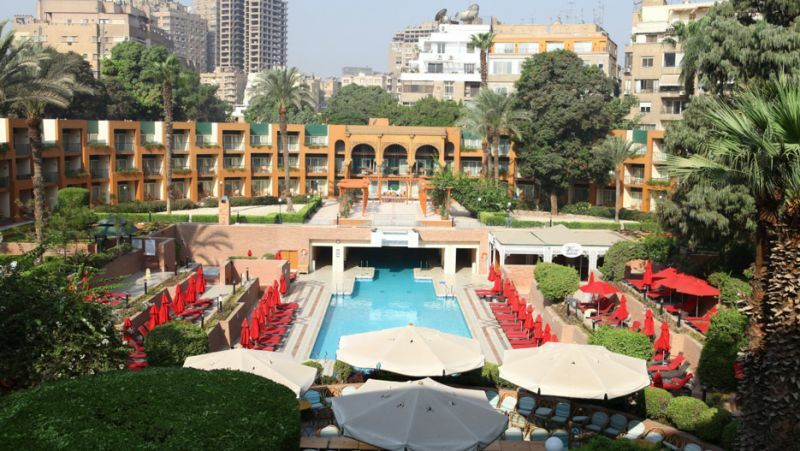 I would highly recommend you choose to stay at the Cairo Marriott Hotel and Omar Khayyam Casino when you visit Cairo. 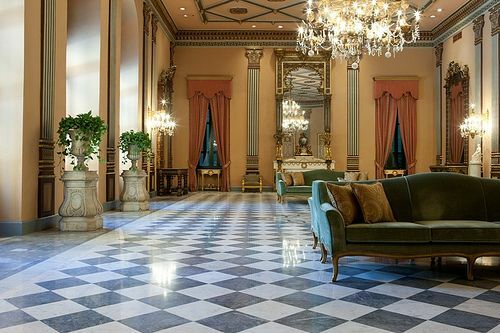 It takes you back to days long past of elegance and luxury and that’s a good thing. Really amazing articles about Egypt.. Thank you Belal 🙂 I appreciate your comment! We are Marriott travelers. Love the options their hotels provide. This one looks fantastic. Holy cow!! that looks like an amazing place! The room is beautiful and the food looks incredible!